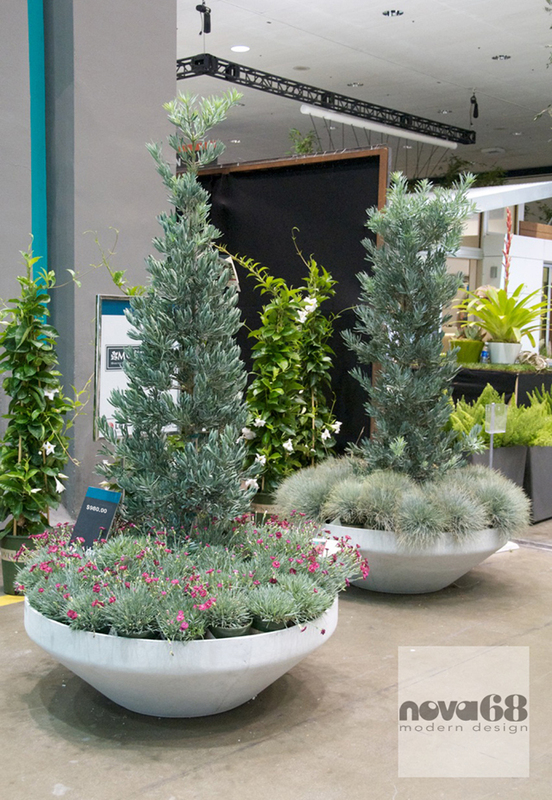 The Lago di Lugano Planters from NOVA68 at the recent Monrovia Garden Show. Planters come in all shapes and sizes but chances are that you have never seen these beautiful modernist ones before. That is because after a lengthy out-of production period (40 years to be exact), design store NOVA68 is bringing back one of the most beautiful planters ever made; the Lago di Lugano circular outdoor planter pot from the 1950s. This fantastic modern planter was named after a long defunct lake side resort on the Italian side of the Lake Lugano (Italian: Lago di Lugano or Ceresio); a glacial lake which is situated on the border between south-east Switzerland and Italy. The lake, named after the city of Lugano, is situated between Lake Como and Lago Maggiore and was a major draw for Jet Setters in the 1950s and 1960s. If you are lucky, you may still spot one of these planters at mid-century lake front estates around the Lake Lugano. The large circular shape of the Lago di Lugano planter makes it perfectly suited for outdoor areas such as contemporary and mid-century modern houses and upscale hotels and resorts. 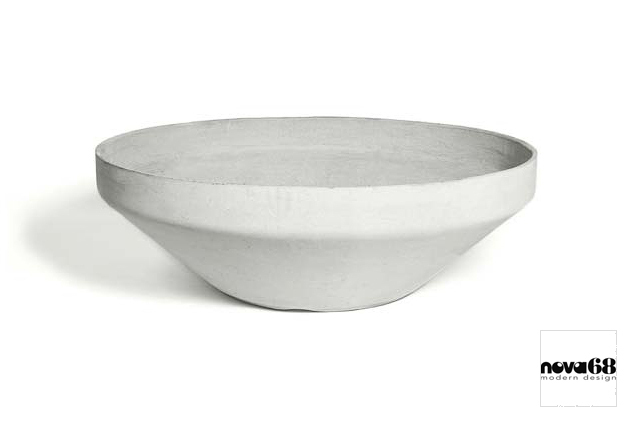 This fantastic modern planter would look amazing at any pool side, garden terrace or even in large loft spaces. It is also a great planter pot for a corporate lobby. The Lago di Lugano planter is handmade and imported from Switzerland. The composition is fiber cement which is a mostly organic material and is 100% recyclable. One of our favorite planters!